Community First Village—a 27-acre master-planned community being developed in Austin, Texas—has been touted as a solution to chronic homelessness. Once complete, the village will include 200-units of micro-housing along with supporting common facilities. I recently had a chance to chat with Alan Graham—president of the non-profit organization behind the project, Mobile Loaves & Fishes (ML&F)—which provided a bit more insight into the project compared to what has been presented in the news thus far. "If you want to understand homelessness you have to understand home," said Graham, "and we believe home has very little to do with the physical structure." Instead Graham talked about permanence, affiliation, orientation, hospitality and safety as the real defining factors of home—all of which he has made the focus of Community First Village. ML&F has raised $7 million to complete the housing project—all of which has come from private donors. Graham estimates that 80% of this funding came from between 15-20 people. The village will have full-time staff on site with an operating cost projected at $1.2 million per year. It's important to note that Community First Village will actually be an example of low-cost housing and NOT a "housing first" type model for the chronically homeless (I'd been led to believe otherwise based on what I had read about the project). There will still be rent and residents will have to have some source of income in order to live there. But by building small, ML&F will be able to keep rent affordable to low-income individuals independent of ongoing public subsidies. The canvas sided cottages and micro-housing will have electricity but no plumbing. Instead they will be supported by common restroom facilities scattered throughout the site. The 5th wheel will come equipped with both electricity and plumbing. In my book Tent City Urbanism, I layout a vision towards tiny house villages—however, the physical form of this housing type is not currently within the scope of most local land use and zoning codes. The villages that have been realized thus far have required a lengthy and costly public process each time. As I reported in my last post, there has been recent movement toward legalizing tiny houses, but what about tiny house communities? I’ve compiled an early proposal for a demonstration ordinance that could be adopted at the municipal level to make the tiny house village an acceptable residential land use—inspired primarily by cottage housing ordinances around the Seattle area. This would allow the housing option to be more readily deployed, and in a variety of styles (i.e. low-cost or upscale). In essence, it is a hybrid of both single- and multi-family housing along with the addition of a social dimension that has gone desperately missing from those conventional options. 1. Redefining Density: Housing developments may increase the per unit density standard of the underlying zone by 50% when in compliance with the standards set in this section. 2. House Size Limits: The maximum allowed gross floor area is 950sf per unit. The maximum gross floor area for the ground floor is 750sf per unit. 3. Common Open Space: cottages fronting at least two sides. Each unit must have x amount of common space. 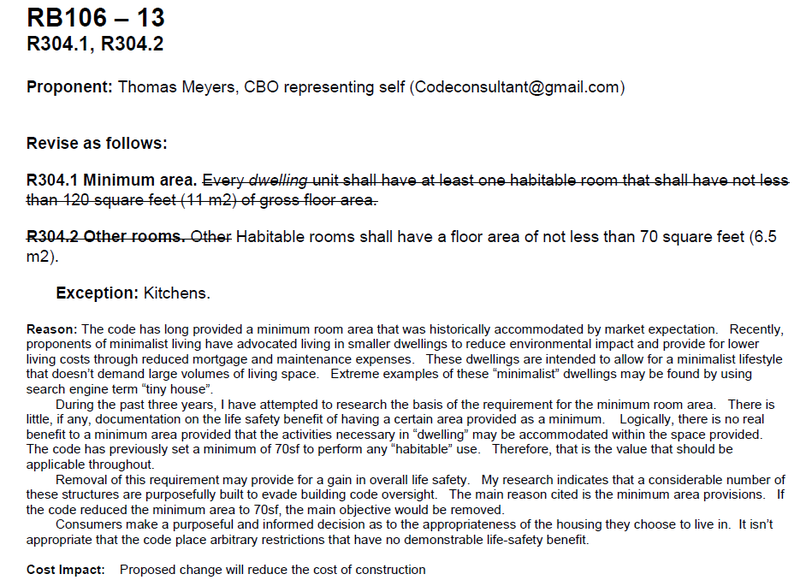 Reduced in-unit kitchen/bath requirements if supported by on-site common facilities. 4. Parking Standards: 0.5 parking spaces per dwelling if within 0.25 mile of transit stop. 5. Non-conforming Structures: Existing structures that are non-conforming to the standards for a THD are permitted to remain, provided that the extent of the non-conformity shall not be increased. 3. The demonstration projects were successful in implementing a new and smaller housing option, though the actual affordability of the housing was questioned. The projects became highly desirable places to live. 5. Cottage Housing has been adopted in several cities in the Seattle area, which has informed this resource: “Cottage Housing in Your Community: A guide to drafting a Cottage Housing Ordinance"
4. 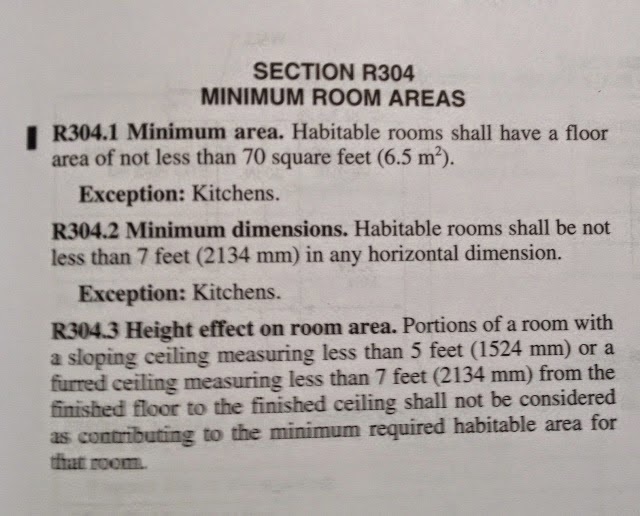 R304.4 Portions of a room with a sloping ceiling measuring less than 5 feet between floor and ceiling shall not be considered as contributing to the minimum required habitable area for that room. 7. There are no minimum area requirements for a bathroom. There are space requirements for the various bathroom fixtures, which could be accommodated in 18 square feet. 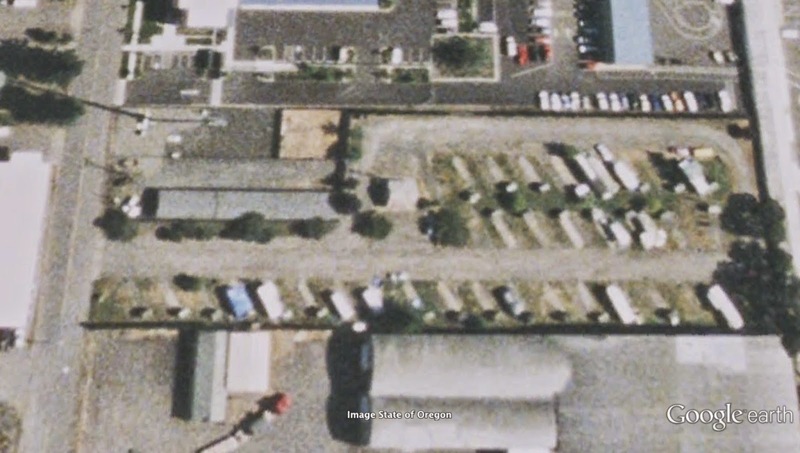 Between 2013 and 2014, two new non-profits have added 60 spaces of safe, dry shelter in Eugene, OR. 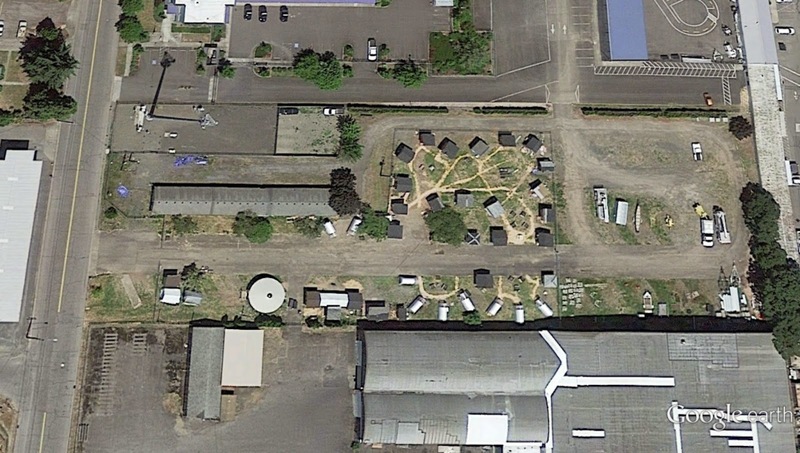 This includes 30 units of micro-housing by Opportunity Village Eugene and 30 "rest stop" spaces by Community Supported Shelters (known as the Safe Spot and the Vet's Camp). While this may be a drop in the bucket when looking at the estimated 1,300 citizens going unsheltered in Lane County's 2011 point-in-time count, it's a relatively quick and drastic move in the right direction—especially when compared to the rate at which more conventional non-profits have been adding shelter beds. 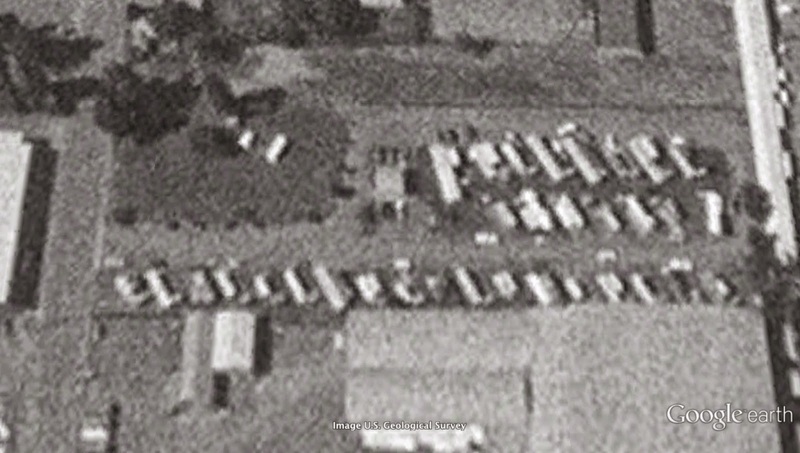 Google recently updated their satellite imagery, and now we can see what this shift looks like from above (click here to see for yourself). Quite a contrast to the large, sprawling scale of surrounding development. 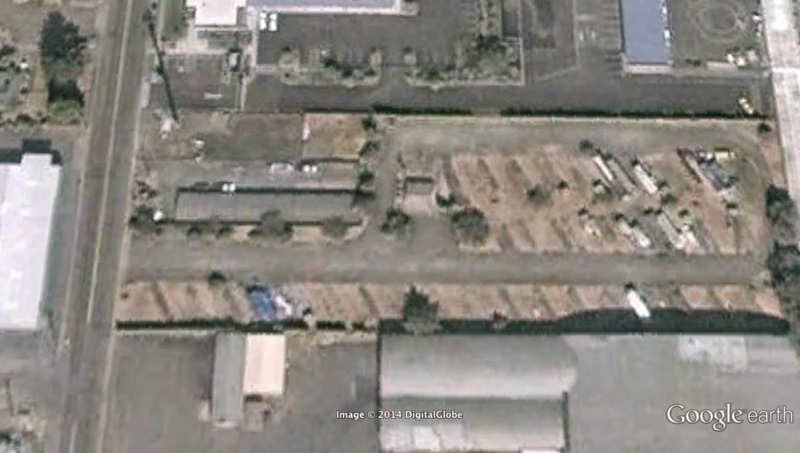 Below I take a historical look at the site on which Opportunity Village is located (111 N. Garfield St.), courtesy of good ol' Google Earth. 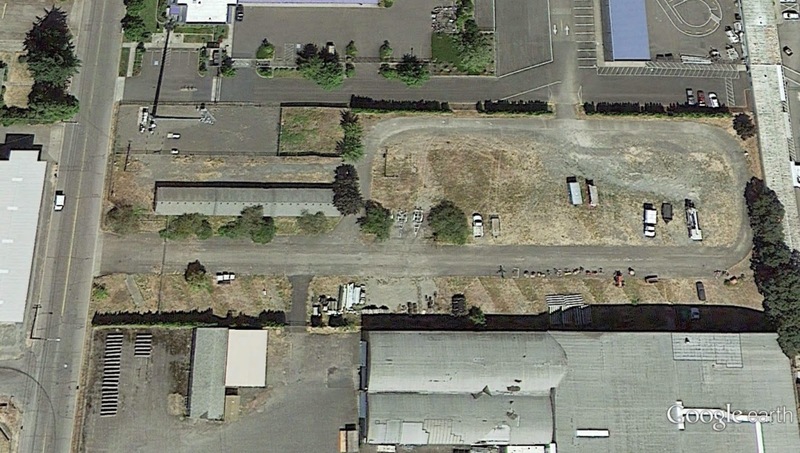 rezoned as industrial - the property is lightly used for storage of city vehicles. 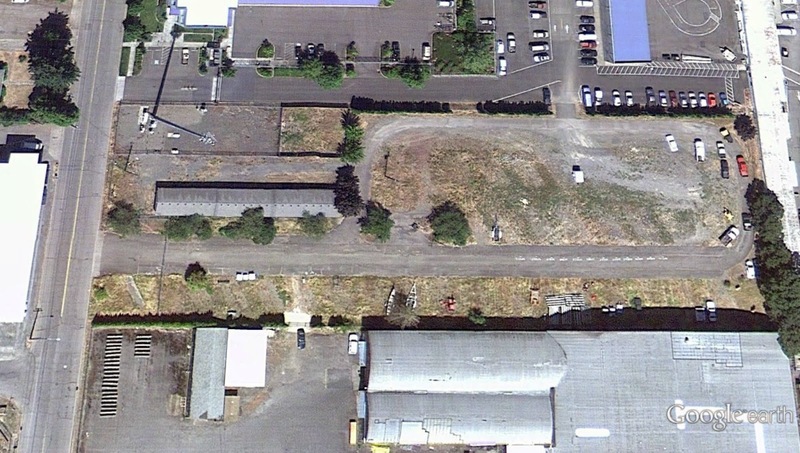 2013 - city council approves the site for a "transitional micro-housing project"
as a one-year pilot project, pending the acquisition of a conditional use permit. OVE develops the above illustrative plan and acquires a CUP for the site. 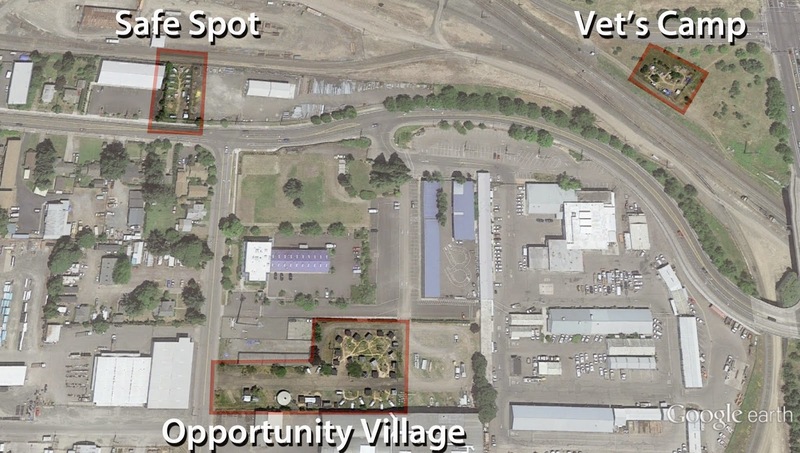 2014 - Opportunity Village opens in August 2013 and piecemeal development occurs through May 2014. Following a recommendation by staff, council has since extended the lease through June 1, 2016. What do you think about the view of Opportunity Village from above? Read more about how Opportunity Village came to be and how to start a similar model in your town by picking up a copy of the new book—Tent City Urbanism: From Self-Organized Camps to Tiny House Villages! To find out more information about one of these presentations, or to arrange one in your town, contact me here. "Nevada County has a housing crisis. Many people, not just our chronically homeless, are finding themselves without shelter. There are not enough affordable rentals. Individuals and families are having to share anything that is available. A single paycheck is no longer adequate to pay rent and then cover remaining living expenses and food. 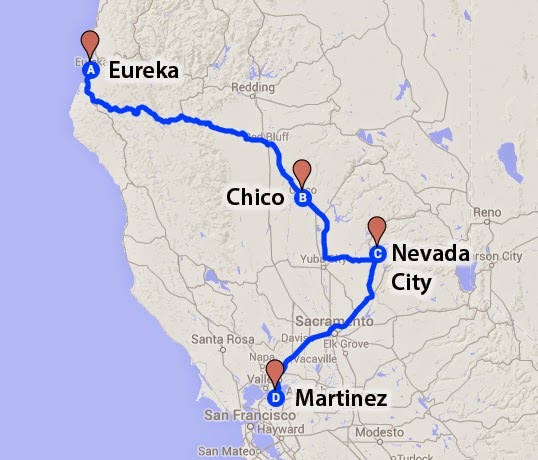 As a result more Nevada County residents are becoming homeless. 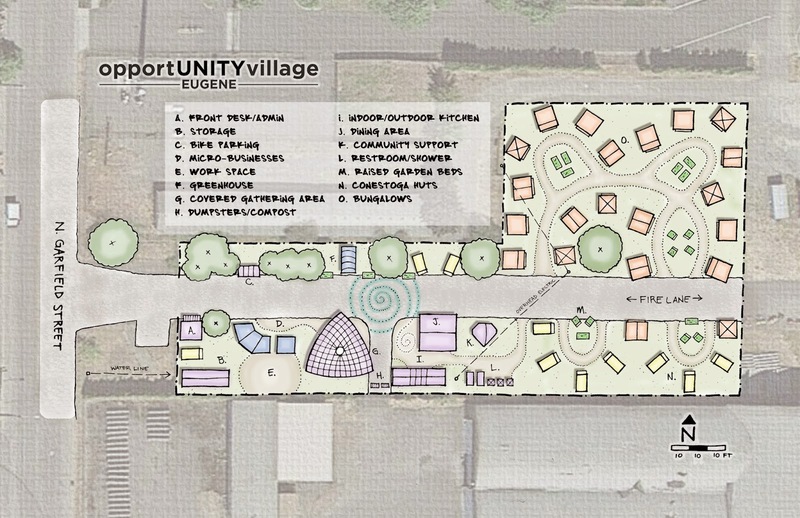 On Nov. 10, Sierra Roots, a 501c3, based in Nevada City, is hosting a presentation on the micro-house village model, Opportunity Village, which has already gained success in Eugene, Ore. Andrew Heben, author of “Tent City Urbanism: From Self-Organized Camps to Tiny House Villages,” will be the speaker for the evening. He will discuss the kind of collaboration that has emerged simply by making a space available for local community resources." 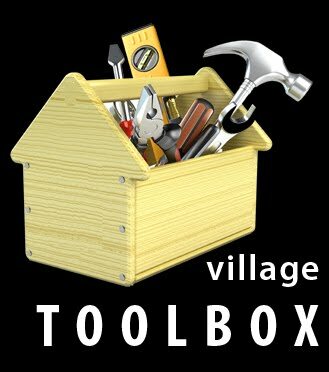 Below are a couple of new videos that have featured Opportunity Village. The first is by PBS and the second was produced here in Eugene. I've also included a third called "Jay Austin's Beautiful, Illegal Tiny House." The short film begins at Boneyard Studios, and highlights the urgent need in DC for new affordable housing options, such as tiny housing. It also takes a historical look at zoning in the US—a major legal barrier to tiny houses—and claims that the one major city that has remained without zoning—Houston, TX—is actually the most affordable large city in America. You may notice that the housing in the first two videos looks quite different from the tiny houses in the third video. This juxtaposition illustrates the two ends of the spectrum of the ever-evolving tiny house movement—simple, bare-bones structures at one end and elaborately detailed structures on the other. One aimed at providing a very basic housing option for those with little to no income, and the other aimed at providing a novel housing option for the middle class that preserves many of the conveniences of the modern house. 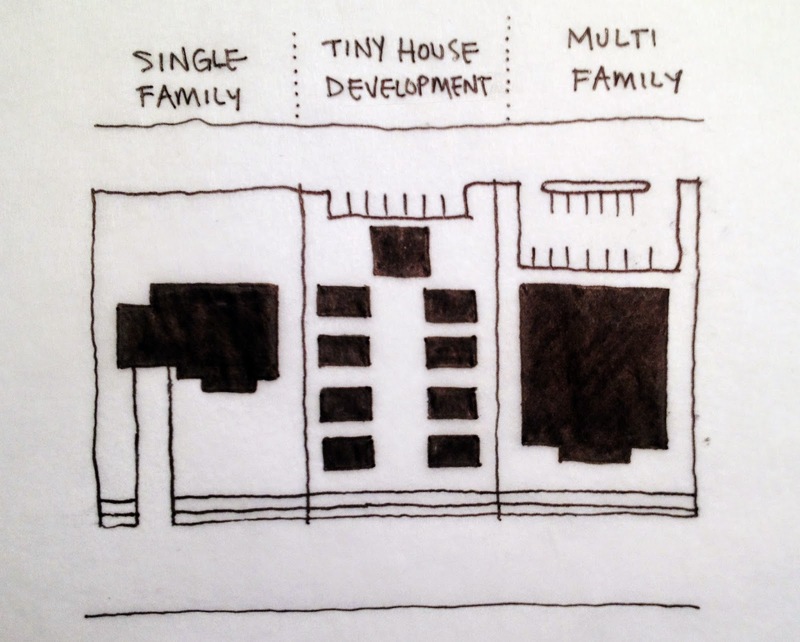 OVE's next project, Emerald Village, will fall somewhere in between these two ends of the spectrum—offering the next step in the legal evolution of tiny house communities.